Acclaimed as ‘the Bentley’ of all Plantation Hale Units, this one bedroom, poolside suite is outfitted with the most regal options available. The owner of J11 is a Seattle Interior Designer, so when renovations took place, modern style and creative, contemporary touches were intentionally applied. 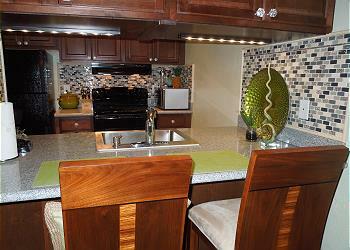 Enjoy the new kitchen with Cognac cabinets, granite countertops, gourmet appliances and custom back splashes. All new high-end designer furnishings tastefully fill the suite, while new A/C keeps you cool and new carpeting keeps you cozy. Comfortably sleeping 4 with a king bed and plush pull-out sofa, this stately suite has a Hawaiian contemporary flair that will set your vacation off to a great start. 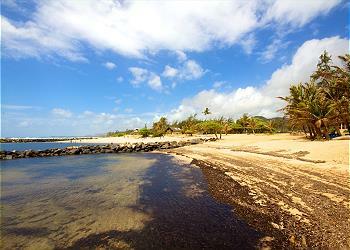 Close to the beach, clean, comfortable and the management was very helpful both before our trip and while we stayed. It was a perfect home away from home while visiting Kauai! We loved the cozy space of J11. It was decorated nicely. Since we had a lot of rain, we spent more time inside and it felt like a welcoming retreat. The patio and AC will need updating at some point but all functioning. Pool area was relaxing; nice central location. Very nice property and unit was one of the nicer units we have stayed in on property. Very nicely decorated and well equipped with beach chairs, umbrellas, kitchen had ample pots, pans, dishes, Tupperware, etc. Easy to find, great location, condo was clean and had everything you need. J11's bedroom, kitchen and living space were updated. Washroom is the only room that needs updates. Unit was well equipped. Owner made sure you had all the supplies you would need including beach chairs, umbrellas and a boogie board. 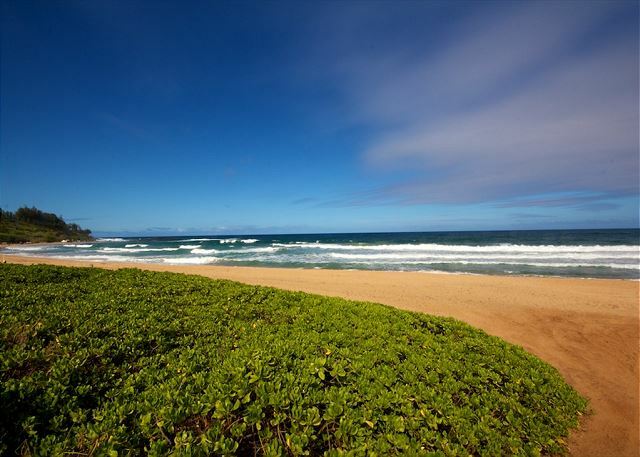 Central location is great and allows you access to the north and south shores. 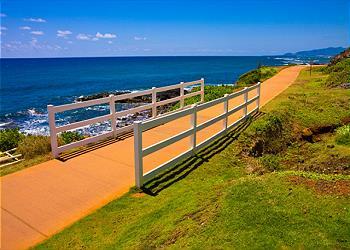 Easy beach access for morning and evening walks is a bonus. We really enjoyed the condo. Appreciated the boogie boards, sand chairs and cooler that were supplied. The air conditioner seriously needs to be replaced as it was leaking on the back patio causing the carpet to be really slimy. We couldn't really enjoy the patio for that reason. Beautifully decorated. Beautiful rental, very comfortable, clean and spacious for me and my wife. We absolutely loved it and would definitely stay there again. Everything described about the unit was true and then some. 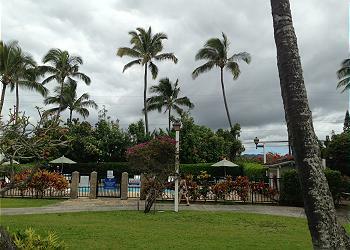 Also loved the pool, water could've have been a little colder as it was blazing that week in Kaua'i. Again, we absolutely loved it. I didn't have to deal with the management company but that's a good thing, no problems. We loved this cozy/comfortable space to call home for awhile. It was a perfect location to explore all the island has to offer. This is a great rental for an amazing price! Close to town, with stores and restaurants within walking distance. 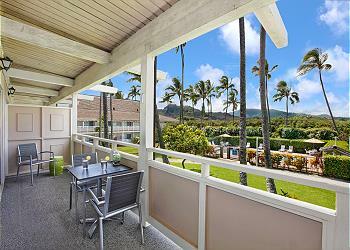 I will recommend this property to anyone headed to Kauai for any reason, family vacation or couples getaway. 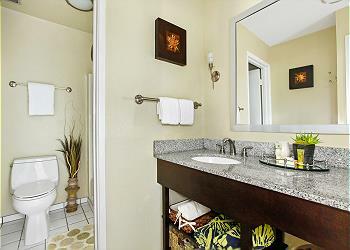 The condo is small and very tastefully decorated. Everything was clean and convenient. The only drawback is it backs up to the road and there is noise but did not bother our sleeping. We loved sitting on the deck which overlooked the pool and seeing the mountains in the distance. Beach was a walk down the street to the open beach access area across a field. This unit is definitely decorated better than most. 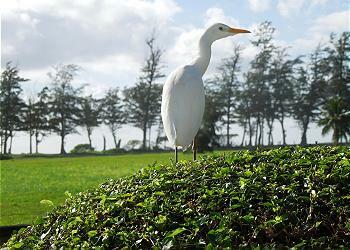 Kauai is an expensive area and Plantation Hale is very reasonable in comparison. We stayed here for 5 nights and moved to the south side for the last 6 nights. We were more pleased with the condo we had in the south since it was in a quieter area and much larger. But highly encourage others to stay on the East side as you are closer to visiting the north or south areas. 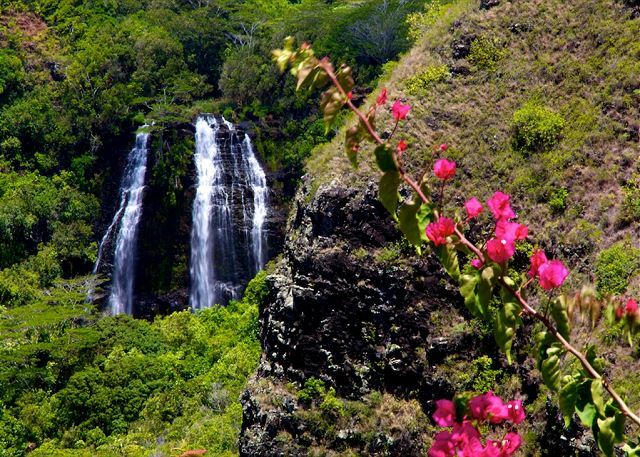 We loved the kayak hike up the Wailua River and hike to Secret Falls via Wailua Kayak Adventures which is family owned, there is an ad for 2 for $100 in the romance and adventure magazine, a great deal. Plus our guide Kathleen shared that we could do a Luau a Smith’s without doing the huge food buffet and only pay for the show at $15 per person. Just sign up online for luau only or call Smith’s family garden luau. It was wonderful, plus kept our diet healthy by not overeating. This unit (J11) was exactly as advertised. It was beautifully decorated and perfect for our week's stay. It was a short walk to a private beach (not really for swimming, but we did) and so close to restaurants, shops, and activities . Starting on the east side of the Island allows easy access to all parts of the Island. 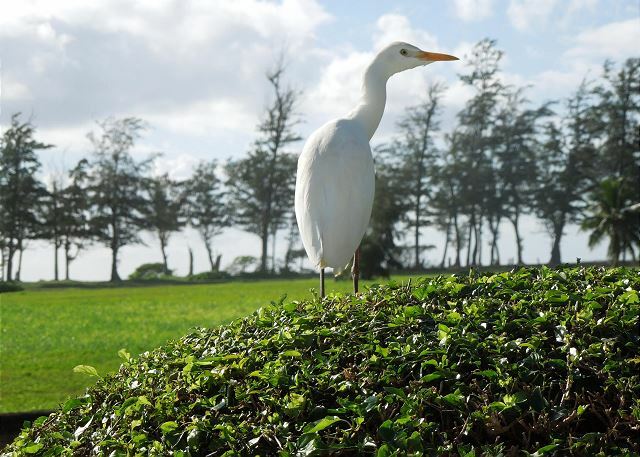 The grounds of the hotel are well maintained as well as the interior of the unit itself. It was quiet and overall just what we were looking for on our vacation. 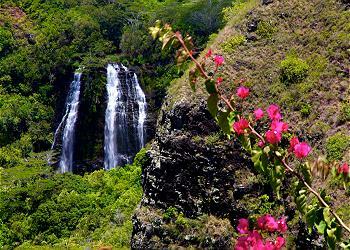 WE were island hopping and landed on Kauai for three nights. We enjoyed our stay. It is an excellent location. The condo is very nice but the exterior is a little dated. It was wonderful. I would most definitely book this stay again and would give referrals. Husband and I flew to Kauai for an extra 8 days. We looked for a centrally locates condo. Plantation J11 looked like it had everything we needed. We arrived and checked in. It was perfect. Everything we needed. We were very pleased with everything. Fully equipped with everything. They even had new sponges and cleaning in the kitchen. That was very impressive. Didn’t have to worry how clean it was. The only thing that was a little miss leading was the beach view. This is not true. We were facing the pool very nice. The beach is behind a large wooden screen. To walk to the beach we had to walk through a grass non trail down to a breach. But since we had spent 2 weeks on the beach that was not that important to us. But, if you were looking to be on the beach w a view this condo is not what your looking for. The bed was very comfortable, enough towels for our stay. There was a washer and dryer on the first floor that cas clean and convenient. Would differently stay there again. The condo has been nicely updated and comfortable for two. The The central location eneabled us to easier explore different parts of the island. Plantation Hale J11 was the perfect home base for my Kauai trip. 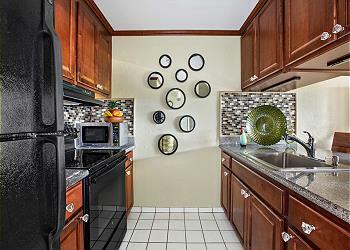 The condo was very clean, beautifully decorated, and fully stocked. The location is close to several grocery stores and restaurants and conveniently located for sightseeing around the island. I would easily recommend this condo to anyone! 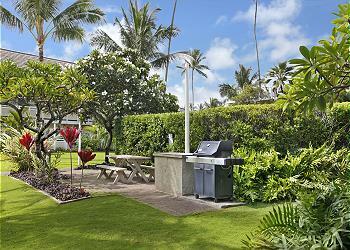 J11 is beautifully decorated, very clean, and well stocked with everything you need to enjoy your Kauai getaway. The bed and pillows were very comfortable. 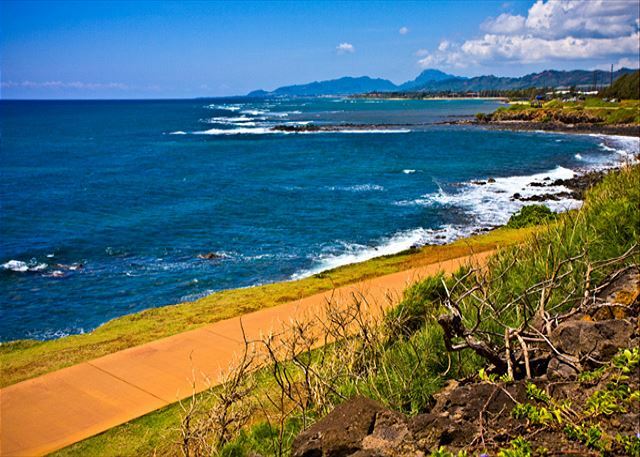 Kapaa is a good central location to enjoy both ends of the island. Grocery stores, coffee, and restaurants are all close by. The only negative is the unit faces the highway and suffers from road noise. It was not relaxing to sit outside even though there is a fence/hedge that blocks the cars. The evap cooler (not AC) drowns out the noise but is very loud. Front desk team were very helpful and gracious. Very clean and well furnished, we appreciated the small cooler, boogy boards and mats for the beach. The pool was very nice as well as the grounds. The traffic sounds are a distraction but the view of the mountains from the lanai are beautiful. The beach is just a short walk away, but we were surprised to see the area in front fenced off for future construction. Stores and restaurants are within walking distance. It was a lovely condo well appointed with everything you need. We throughly enjoyed the location although we would have preferred an ocean view. The traffic noise from the highway was a concern. Wonderful spotless and very comfortable place to stay. Loved the comfortable bed and designer decor. Staff was just lovely to deal with. We loved it! Very clean and had everything you need! Great location as well.the only thing I'd recommend is more plastic cups, plates. Glass everything in the condo, which is nice but walking around or even on the deck plastic would be good! Thank you for sharing your beautiful condo with us! We arrived at the location late in the evening and the arrival process was quick and efficient. We were pleasantly surprised at how clean and comfortable this unit is. One thing that stood out was the fact that everything is available in this unit, I mean everything. Dishes, silverware, glassware, etc. were all in perfect shape. Everything needed to cook was available (including condiments), there were plenty of towels, the appliances were in good shape, the bedding was comfortable and we had air conditioning. What else can you ask for when on vacation! When we went to the beach there were chairs, towels, mats, umbrella, even a little cooler to keep our water in. It felt like we were home. We walked around the property and we could tell that Building J was the cleanest and very quiet. The pool was never crowded, in fact most of the time it was empty. This is a nicely decorated unit with good quality furnishings. We even had cleaning supplies, which we used to keep everything neat and tidy. The location was central to all the attractions we were interested in, from golfing (5 min. 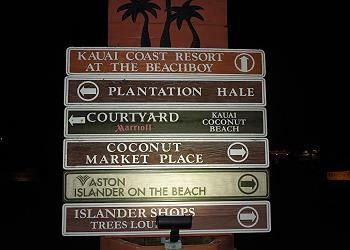 away), beach (1 block away), restaurants (in Kapaa there are many) and Starbucks was 2 minutes away (very important). There's two supermarkets close by Foodland and Safeway so we stocked the fridge and prepared our own meals whenever we didn’t feel like going out. 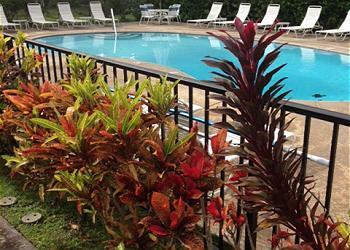 We are looking forward to visiting Kauai again and will definitely be staying in this unit. 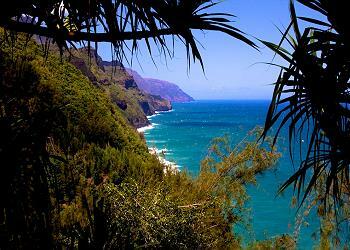 The weather was very nice there was a good trade winds and it wasn't too hot. It was a little rain but not too bad so we got to go to the beach almost every day.. We ate in some very nice restaurants and I and our vacation rental was very nice. I wasn't too happy with the coconut marketplace being all worked on but I know those things happen thank you for the very nice place to stay. Kauai Exclusive Management is the best! This is probably the 5th time I've used them. Thank you so much for the exceptional customer service, especially Sean! My first impression was not a good one, when I first viewed the complex it looked a little outdated, but when I entered the unit itself I was pleasantly surprised to find a very well maintained unit. The unit is very well furnished with modern appliances and very well kept. I really enjoyed all the amenities the unit had to offer. I would definitely recommend this stay to anyone. We had a fabulous stay here - would love to go back!! This condo was great - had everything we needed -even salt and pepper. Overlooked the pool area and bbq deck !! It was just the right size for a couple to stay and enjoy!! The big kingsize bed was awesome with comfy pillows. This was our second visit to Plantation Hale J11. It's just perfect for us. The location is great, and we really like the condo. It's comfortable and has everything we could need or want. Also our second time using Kauai Exclusive; they are just the best! Made booking our trip very easy and they are extremely helpful and friendly, especially Sean! Crystal at the front desk was a joy to talk with and get to know. She is a model of professionalism and customer service. Crystal took the time out of her busy day to get to know me and my wife Rikki on a first name basis. Crystal made us feel like we were the most important people at the property. Our stay was great and we loved the property. Even if we had problems with the property, which we didn't, the level of service we received from Crystal would have made up for any deficiencies and kept the stay fun and positive. Whatever you're paying her add to it. Do what you have to, retain her employment. Clean modern beautifully decorated condo in great location. Extremely well maintained and presented. Would recommend to a friend. The location was perfect! We were near plenty of restaurants, supermarkets and activities. The suite was exactly as promised with everything we needed for our 9 day vacation- all kitchen amenities, towels, boogie boards, beach chairs, sunscreen, etc. The interior was peistine, with luxurious, brand name and quality bedding and furnishings. Would stay here again and again! The unit, J11, was perfect. Even though the complex is 50 yrs old, the unit has been totally, tastefully remodeled! Air conditioned, which is not typical but much appreciated. The complex is not water front [200 yds through a field] and our unit was not facing the ocean,but facing the tiny, rarely used pool. 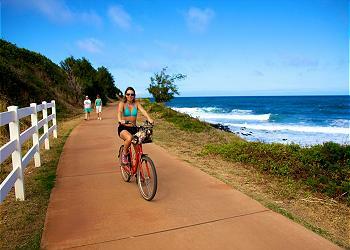 We loved the convenience of location on the East Coast of Kauai. The condo is decorated exquisitely. The hot tub nearest us was not hot. The staff was very helpful. We spend a lot of time on Kauai visiting family. This was the first time we used Kauai Exclusive and I won't travel any other way from now on! Sean and Josh were the best. Our unit was gorgeous and the location was the best. Sean was so friendly and helpful and even came over within 5 minutes when we accidentally locked ourselves out. It was the easiest reservation I've ever made. I found their website really helpful, and the pictures were accurate. Overall the BEST experience we've ever had. Thank you again Sean and Josh; you rock! WE WE VERY PLEASED WITH OUR CONDO RENTAL . THE ONLY THING I WAS DISAPPOINTED ABOUT WAS THERE WAS NO GYM FACILITY ON THE PROPERTY. THE A/C DIDNT REALLY KEEP THE PLACE COOL, IT COULDN'T KEEP UP WITH THE HEAT WAS MY THOUGHT, IT WAS A BIT OLD SO I THINK IT JUST NEEDS TO BE REPLACED. IT WASNT HORRIBLE BUT IT DID GET UNCOMFORTABLE AT NIGHT. OTHER THAN THAT THIS PLACE WAS CLEAN AND NICE. NOT NOISY SO THAT WASNT AN ISSUE AND LOCATED VERY CONVENIENTLY. ALL IN ALL WE WERE VERY HAPPY WITH OUR SELECTION. I CALLED AND LET THEM KNOW BUT THEY DIDNT LET THE PLANTATION KNOW WHEN WE CHECKED IN THE DATES WERE WRONG. THEY HAD US CHECKING OUT 2 DAYS EARLIER. IT WASNT A PROBLEM THOUGH I JUST HAD TO DIG THROUGH MY EMAILS THAT I WAS SENT CONFIRMING THIS. I HAD TO KEEP EMAILING AND FINALLY CALL TO GET OUR CONFIRMATION EMAILED TO US, BUT THEY ARE ALL VERY NICE AND PLEASANT TO WORK WITH, I DID ENJOY THAT. FINAL NOTE: WE WOULD STAY AGAIN IN THIS LOCATION. The room was newly renovated and everything was new. The room was enjoyable and we will plan to look into next year. The Plantation Hale is still just OK as a hotel/condo, and there was a new Longs Drug store being built one building away which is noisy and dirty. Most of the experience was enjoyable. This unit was great. Very clean, decorated very nicely with great features. Great atmosphere inside and out. Unit J-11overlooks one of the pool/bbq areas and is a top floor unit. Also in a very central locatation on the island. The room was tastefully decorated, felt like a home away from home. The Kitchen was well stocked with everything we needed, other than the food, to cook breakfast, lunch or supper. the living room, bedroom an lanai were all good sizes. The bed was very comfortable. Other than the road noise, which sometimes was a bit loud (not too annoying though), the room was very quiet. The bath tub needs a litle TLC, but everything was clean. We really appreciated the onsite laundry facilities, the beach chairs, boogie boards and picnic cooler that was provided. Had we known about the beach towesl, we wouldn't have had to bring our oun. All in all it was a great place to stay and the central location made all our excursions and easy day trip. We would not hesitate to stay here again. Great location as it's close to the airport and centre point to the major attraction. There are plenty of places to eat and buy groceries as well. Kitchen was well stocked with the cooking essentials to start any meal. Bed was very, very comfortable. That was a plus after a long day of exploring. I believe this is a recently refurbished condo, that was very nicely done. It was perfect for what my wife and I needed with a king size bed, nice décor and was very comfortable. Would recommend to any couple. 45 minutes from either south or north far ends by car. Shops, restaurants and beach just minutes away.